Oatmeal Porridge. Sift the oatmeal through the fingers slowly, stirring it into boiling water that has been salted. When it begins to boil up well, stop stirring & close the pot tightly. Set at the back of the stove while you cook the rest of the breakfast. 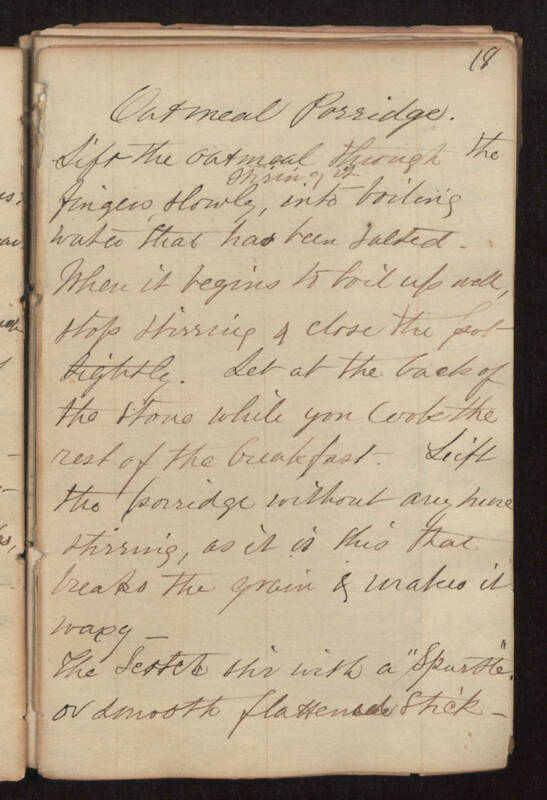 Lift the porridge without any more stirring, as it is this that breaks the grain & makes it waxy -- The Scotch stir with a "Spurtle" or smooth flattened stick.